Google opinion rewards application is a Google powered Application which pay to users for completing some short Surveys in application, this is a genuine and easy Application, a naive can also use this application and can earn good amount by giving opinion to Google product and services, at the start of this application this is only offered in some big countries that not include India but after some time this will offered in India and now we can say that India is the biggest community who use this application, this is a very popular application in India, millions of people in India are earning well from this application, you can easily install this application from Google play store or you may install it by clicking here Google opinion rewards download from here for free. I am also using this application for a long while and my personal experience about this application is very good, this application is very simple to use and surveys offered by this application are very short which takes about 1 to 2 minute to complete, this is the greatest thing I have experience with this application, Google opinion reward is a worldwide application and this is equally popular in world. 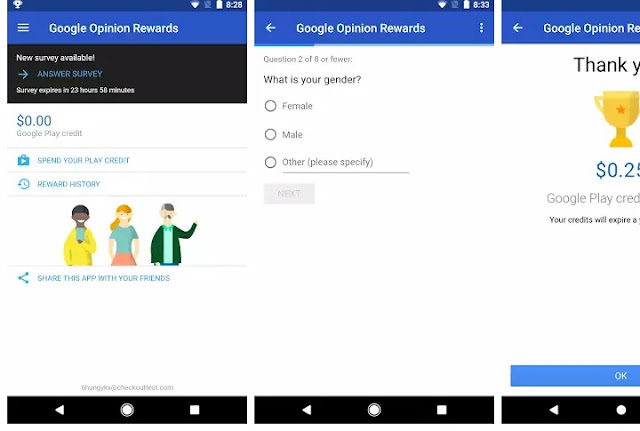 • Google opinion reward application is one of the application pay highest amount for completing a survey I have used a lot of Survey feeling applications and websites but I never experience this type of high reward amount in any other application. • best part of this application is it service, this application will offer you survey according to your location and your recent activities so service given to you are related to your interest which will help you to give right opinion about the services and the products. • biggest speciality of this application is its base this application is provided and powered by Google so there was no hesitation about its reality, Google opinion rewards is a 100% genuine application to earn with your opinion. Google opinion rewards is a small size application you can easily install it with Google Play Store with less data consume, there was no need update Day After day is totally updated when you install it from Google Play Store, this application will charge you 2.6 megabyte of your data. This is a simple application with no confusion, you can easily use this application, there was few options in this application which help you in using this, you can easily manage this application in your mobile device. 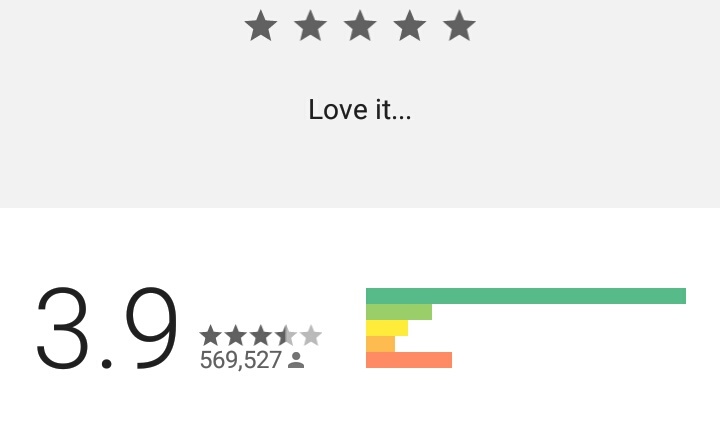 This application works very smart according to your choice, this will provide you only relevant Surveys which were interested for you, this Google opinion rewards application will never provide you a low quality survey. This application will look for your survey on the basis of your location so this is very important to turn on your GPS to share your location with this application, this is a very effective way to get interesting surveys on your application. after this your location history will automatically shared with Google this will definitely increase your frequency to get Surveys in Google opinion rewards application. Google only wants to serve best content and products to its customers so opinions are best thing to get know the interest of users, opinions are very helpful to make a better product. We all know that honesty is the best policy so fill all Surveys​ with honesty this will increase your chances to get surveys in Google opinion rewards application if this application find that your opinions are valuable for improving their service then they will offer you a lot of surveys in very low time period, it means you will get a lot of credit from Google opinion reward. There was not any fix amount for reward you will be rewarded randomly according and basic of quality of survey is your offer along survey then you will be paid higher. Rewards credited with Google in this application can only be used buy application and services in Google Play Store you can't reedem these reward points in your bank account you can only buy application in Google Play Store you can easily buy application with this rewards in Google Play Store, you can buy all types of services in Google Play Store without any compromise. Best Ad placement websites to earn money with small websites. A small size application with these types of services are very rare I must recommend this application to them who wants to earn money online. 1. Skrillo :- this is only single application of this type, a very famous and popular Application in world which actually pay to its user, it's very simple to use and earn, you can easily earn money with this application by completing some little events, download this application from playstore and increase your online earning with help of this website. 2. Lopscoop.com :- lopscoop is a very unique Application to Earn money online, you can easily install this application from Google Play Store, this will pay you in points for every activity you do on lopscoop, for brief description about this application you may visit a specific post Earn money online with lopscoop. 3. Toluna:- a simple Application with a lots of functions, most popular Application after Google opinion rewards in India, this will ask you your hobbies as Surveys and sometimes this will ask your opinions about products each Survey have a different price to earn complete surveys, you can withdraw your money by buying a PayPal or flipkart gift card. Learn one more type to earn money online by visiting Earn with your ideas and writing news.